Lewis Hamilton's driving has come under the spotlight at the Chinese Grand Prix following criticism from his rivals. Several drivers have expressed concerns about some of the manoeuvres Hamilton has pulled following the controversial start of the Japanese Grand Prix. "Lewis is a phenomenal talent but his respected colleagues are saying: 'Mate, it doesn't need to be like that all the time,'" Red Bull's Mark Webber said. Hamilton said: "I know people have comments and that's fine with me." Some drivers have been concerned about Hamilton's driving all season, but the issue has come to a head following last weekend's Fuji race. Hamilton was penalised for an attempt to retain his lead following a slow start at Fuji, which led to him taking Ferrari's Kimi Raikkonen off the track. "The first corner in Fuji was pretty wild," said Webber, a director of the Grand Prix Drivers' Association. "Lewis was having a crack, but if someone had been sitting on his right rear when he pulled out then that was a crash," Webber said. "There was also no way he was going to make the first corner, and while it is not illegal to out-brake yourself, we want to have a bit of a chat about moving around in the braking areas. "If any guy moves two or three metres left or right then you have contact and you have tethers (on the wheels) going off, so that is what we want a chat about." "I am not smashing Hamilton but it is about how you move on. Tiger Woods learns. Roger Federer learns. And Lewis is going through that. "We lost a marshal at Monza [in 2000] when there were guys moving around in the braking areas and it is very hard to change your line if you don't know what is coming. That is the only thing that we need to look at." Talking to the BBC on Friday, Webber was at pains to stress he had never said Hamilton could end up killing someone, as was reported in some British tabloid newspapers. "I know I never said the word 'kill'," Webber said. "I said a lot of positive stuff about Lewis. "It's clear there has been a few manoeuvres in the braking area that some of us have not agreed with, and I used Monza eight years ago as an example of that type of situation where we can have cars flying through the air. "[I'm] very disappointed those at the headlines. 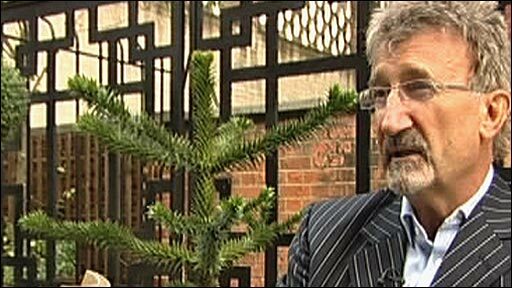 I'm disappointed with the press - they come to you for your expertise and experience and sometimes they slate you." Kubica, who crashed heavily in Canada last year and had questioned the safety of Hamilton's driving in the Italian Grand Prix at Monza in September, clarified his position in China. "When one driver is overtaking another one and crossing his line just in front of his wheels, it's quite dangerous, especially if someone behind has to lift off," he said. "I have been involved in an accident in a similar situation in Canada and I know what it means when a front wheel hits a rear wheel, and it's quite dangerous. "I just say this: while nothing happens everything is fine but if something happens then I think everyone will realise. That's all." Hamilton said: "They have the right to their own opinion. 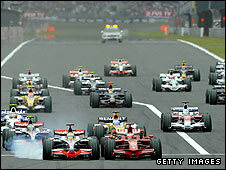 Toyota's Jarno Trulli expressed concerns about the way Hamilton held him up while he was trying to lap him during the race. BMW Sauber's Nick Heidfeld told BBC Sport after Friday practice in Shanghai: "I think the penalty [Hamilton] got in the last race was unreasonable. "On the other side, I think he is a pretty hard driver. Sometimes it helps his results and sometimes he gets penalties but he is very aggressive." I would rather see kubica win it now but does a world champ deserve to win a title with only one win? However, Webber's team-mate David Coulthard stamped out suggestions that the drivers resented the instant success Hamilton is enjoying in just his second year in the sport. "Absolutely not," he told BBC Sport. "Whoever made that up, is people trying to imagine what it's like to be a racing driver rather than understanding what that is. "From what I read in the media there seems to be a growing tide of drivers suggesting that his driving is too aggressive but most of the time I'm not racing against Lewis so can't really comment. "I admire success and admire people who've dedicated themselves to the sport and if they are in a winning car then c'est la vie." McLaren driver Hamilton leads his closest rival Felipe Massa of Ferrari by five points and BMW Sauber's Kubica by 12 with two races to go. His lead at the top of the drivers' standings was cut by two points after he finished 12th and Massa seventh at last week's Japanese Grand Prix. Hamilton is without a victory since the German Grand Prix seven races ago and has shown signs that he is feeling the pressure. Former F1 world champion Jacques Villeneuve has said that Kubica would be the most worthy world champion this year. "He has not been in as good a car as either Felipe or Lewis yet he has produced a season without mistakes." Villeneuve also questioned the number of penalties that have been handed out by race stewards this season. 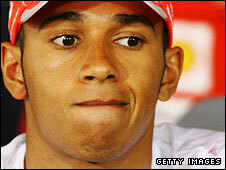 "You have to say the penalties that both [Hamilton and Massa] have been getting has been a little bit surprising. "Once you start giving penalties away you just have to keep giving more and more and where do you [draw] the line?" "This year he's got it in his hands with two races to go so we'll see how it pans out. "He's been thrown in very young and been told for many years that he's the best in the world. "At some point you end up believing that and I guess that happens to most drivers at some point in their careers."